Ready for a one-of-a-lifetime trip that will redefine what you have always thought about luxury travel? Is this your sweetest dream for Honeymoon? 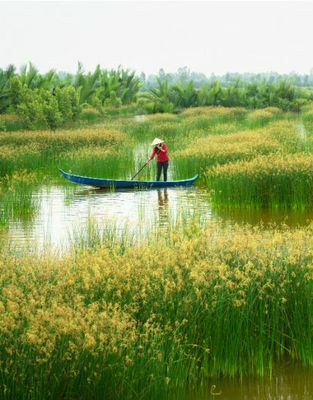 Escape from the bustling life to somewhere thousands of miles away - like Vietnam. Pamper yourself in a stunning pool villa looking over the magnificent bay, in a 5-star resort surrounded by rock cliffs and lush green jungle. 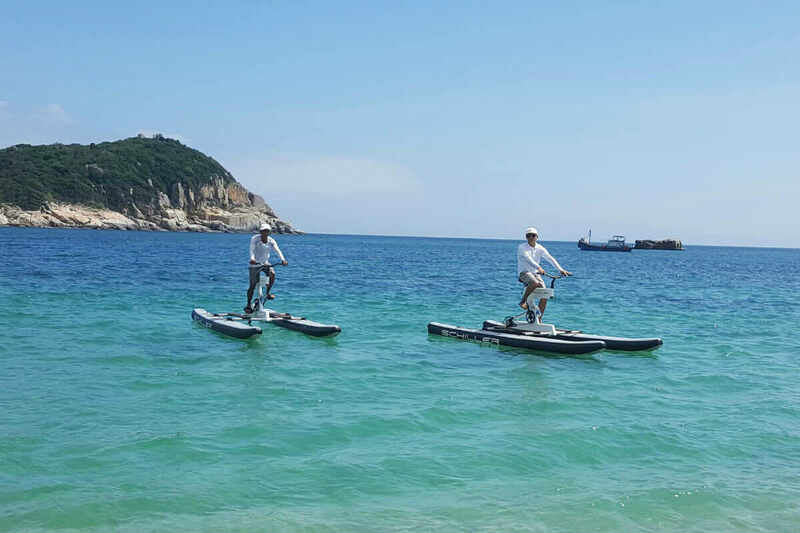 Experience unique things with local guides by the ocean, in the national park nearby or around the bay. 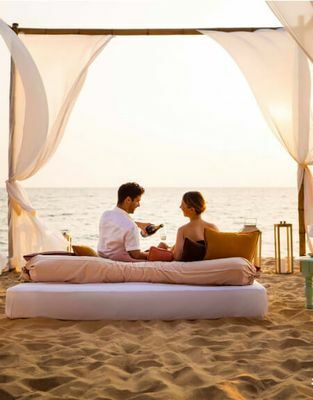 Melt into the private fine dining options day by day and authentic local food (incredibly healthy) with your life-partner...and sometimes dive into the pristine ocean by the creamy sand beaches... 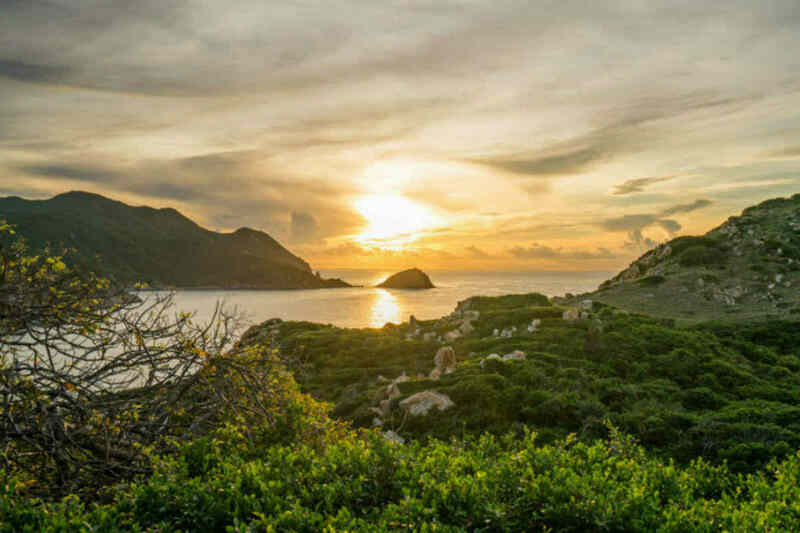 If it's a "yes" for you, make it real with this Vietnam Honeymoon Tour in the off-the-beaten-path place- Ninh Thuan right away. It will surely be the moments of your lifetime. Enjoy the blissful time with your lover. Learn the history of Vietnam throughout 4000 years. All activities are guided by local people who know their culture and the country better than anyone. 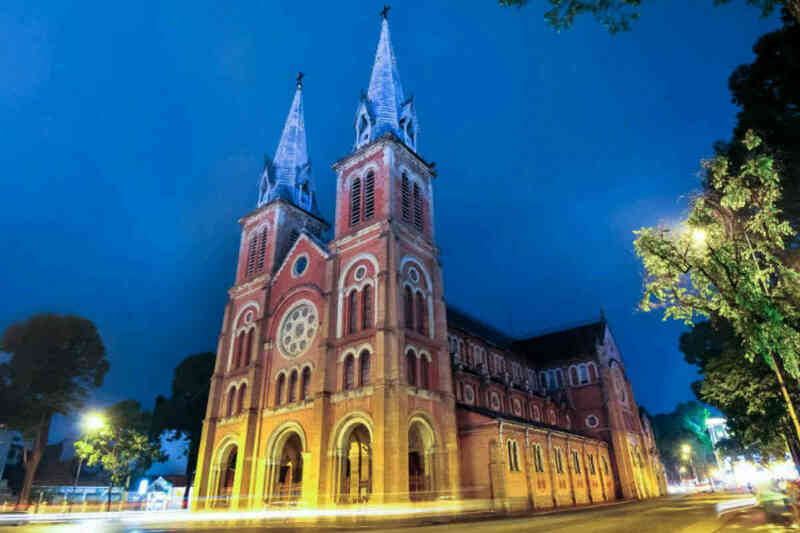 On arrivals, breeze through the custom and immigration procedure before being escorted to your hotel in Saigon by a private driver. The remainder of the day is yours to enjoy the cultural heart of the city. 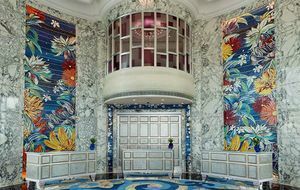 In the evening, you are invited to a welcome dinner in a famous restaurant decorated with royal traditional Vietnamese style, and you can enjoy live music during your meal. The morning is free at your leisure. The afternoon, our driver will help you to the airport, you will catch your flight to Cam Ranh International Airport. Upon arrival, you will be greeted by the driver and take on the 1.5 hours drive to the Resort. Along the way, you can see the wonderful view of the sea and the mountain. 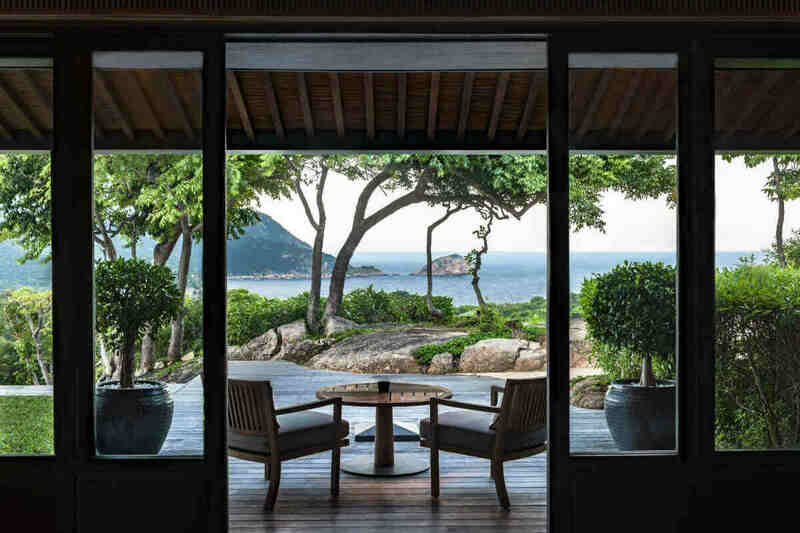 Amanoi sets between a national park and a marine reserve, it embraces nature from its beachside perch on the southern coast of Vietnam. 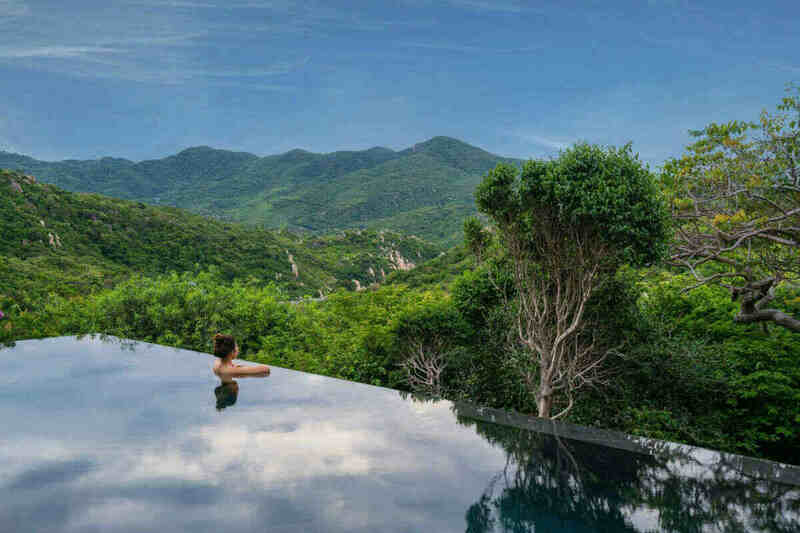 Exploring the park with expert Amanoi guides reveals Vietnam’s untouched wilderness, alive with myriad plants, birds and wildlife. 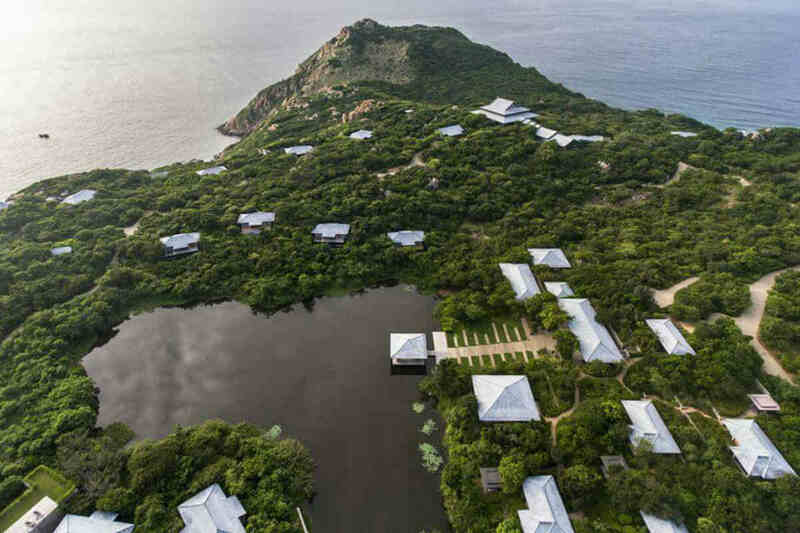 The tranquil landscape will provide the perfect introduction to Ninh Thuan and Amanoi. 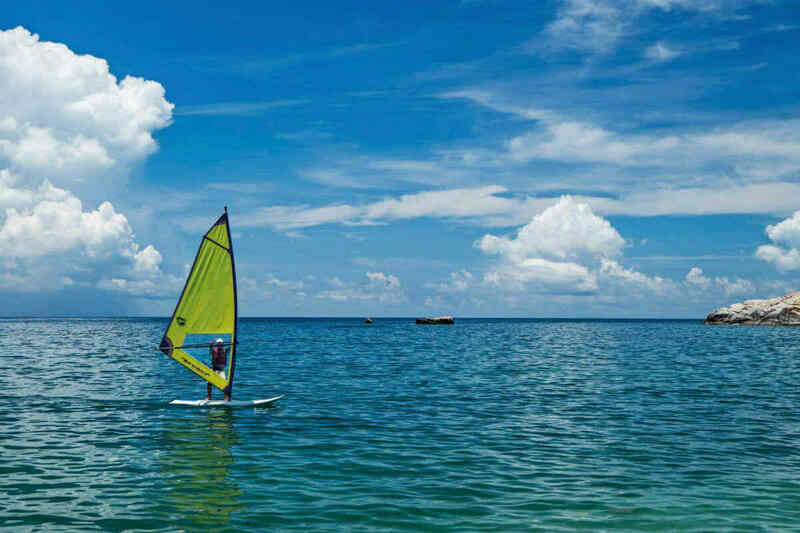 The day begins with the water adventure awaits you right in the beaches of Vinh Hy Bay. 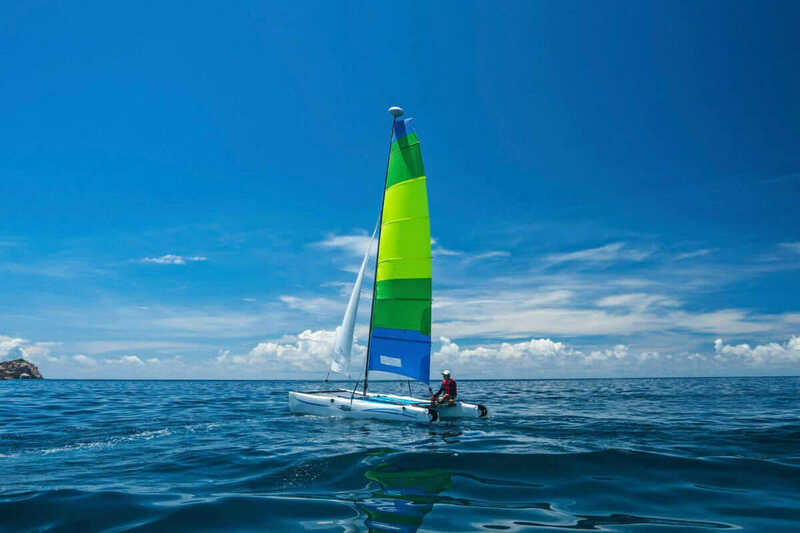 Enjoy a morning with all the excitement from sailing, sea scooter. After, go snorkeling to view a variety of plate corals, brain and staghorn corals. In the afternoon, continue to the magnificent Goga peak. After a short moderate hike follows an inclining pathway up to Goga Peak. 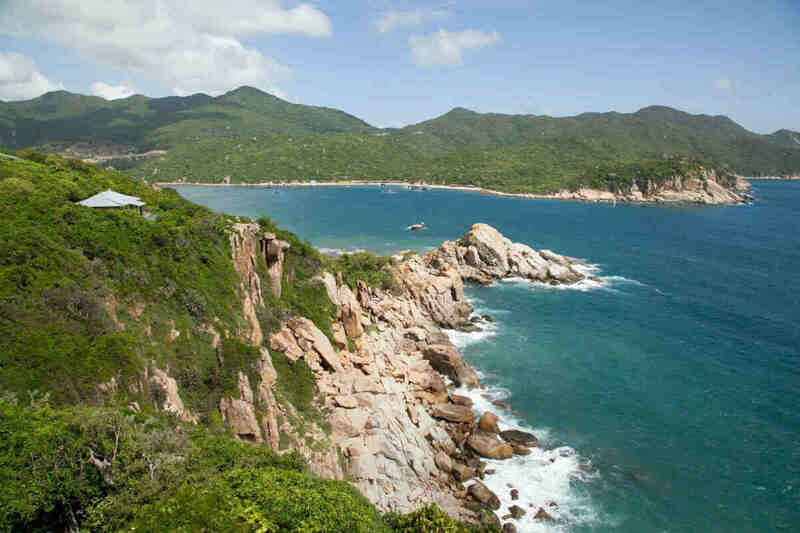 Spectacular views from the top take in Vinh Hy Bay, the East Sea, coastal rock formations and the southern city of Phan Rang. Goga Peak is an idyllic spot for relaxing and take in the breathtaking views any time of the day, right up until sunset. 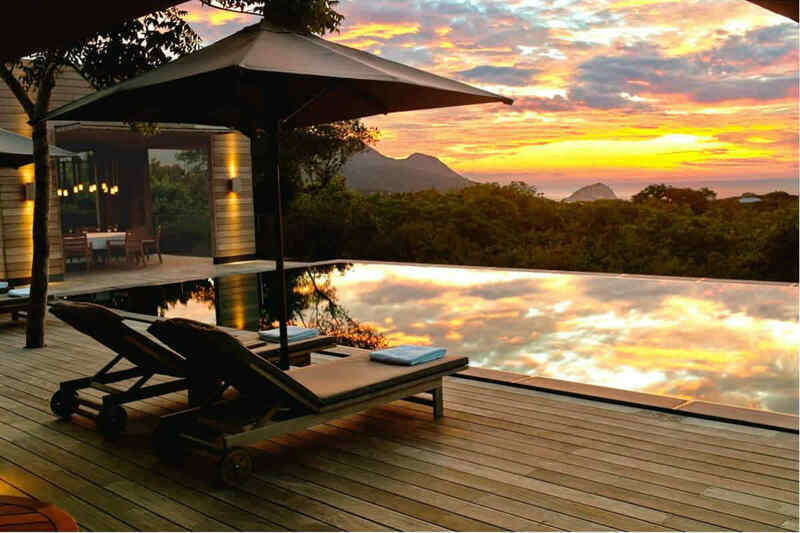 Perched on a hilltop, the distant view of the bay itself will let you remain bewitched. The morning is free at your leisure. 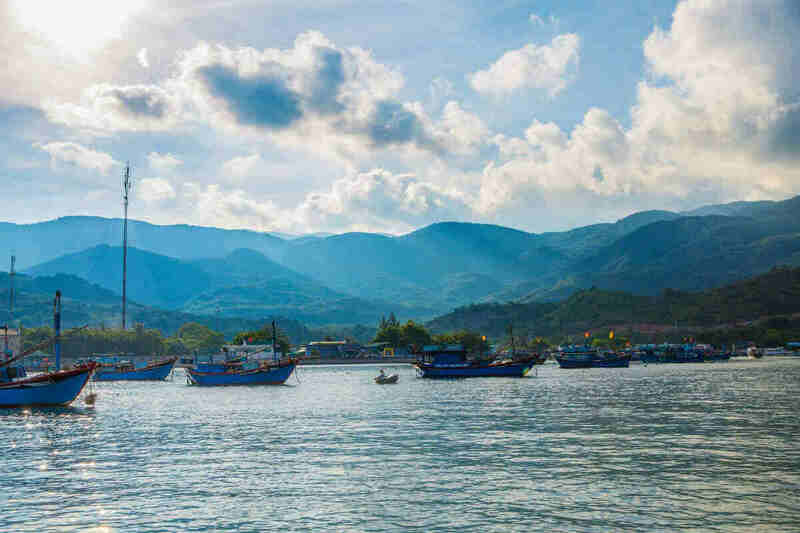 In the afternoon, go out for a visit to the sleepy fishing village of Vinh Hy - located on the edge of Nui Chua National Park. Most of the families living here have been fishing for generations. The town is very quiet during the day because the fishermen venture out to sea late in the afternoon, seek their catch throughout the night, return to the bay at dawn and sleep most of the day. 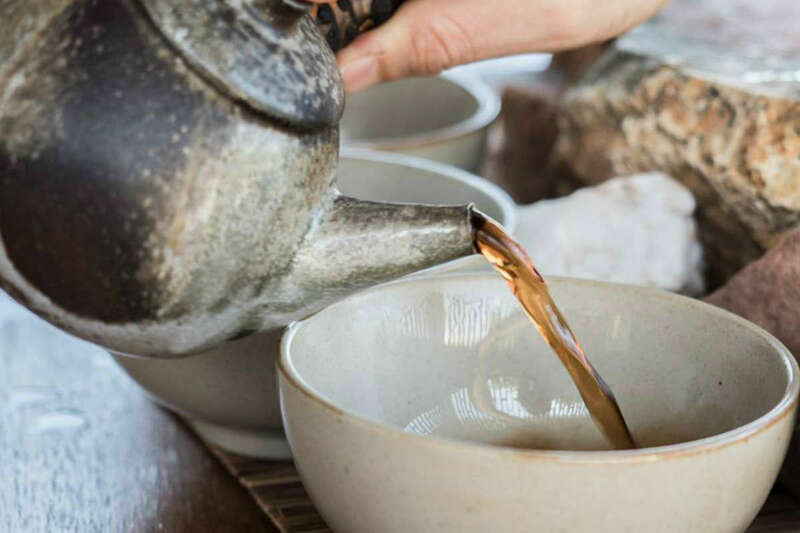 The highlight of this tour is a visit to a local home for traditional Vietnamese tea. 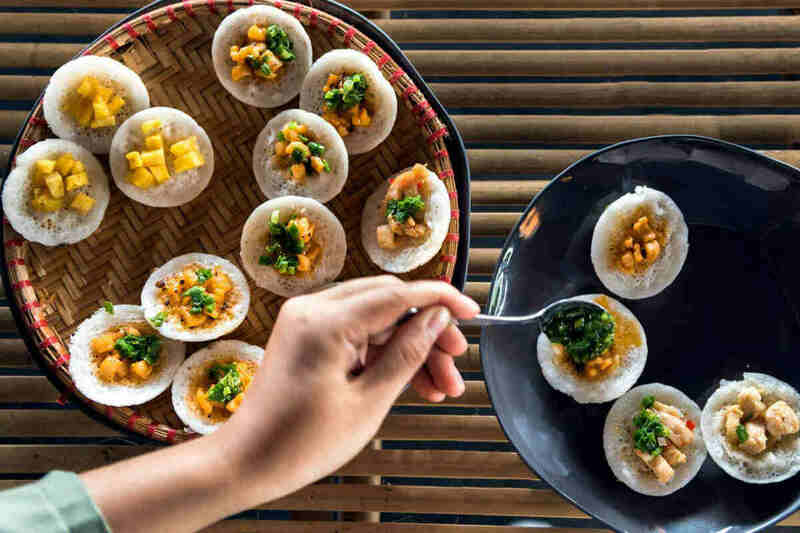 Here you can enjoy a cup of green tea and homemade rice cakes called “Banh Can”. 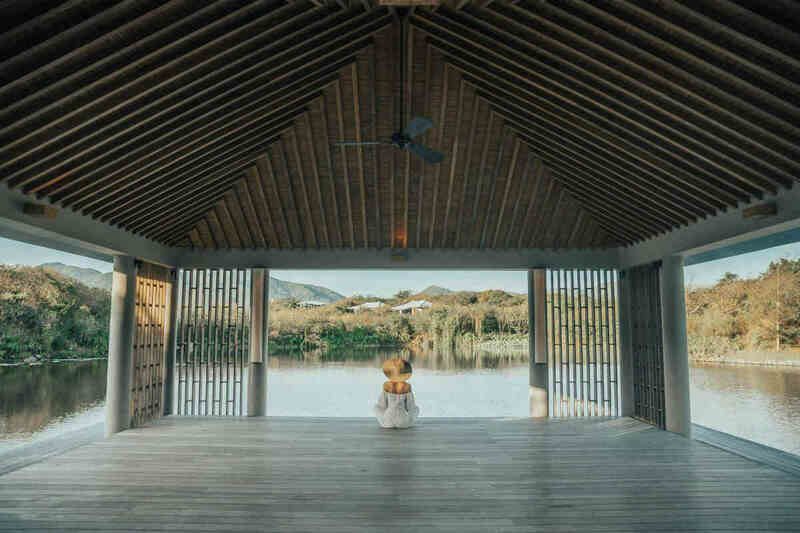 After indulging in a delicious breakfast in your private view, two of you will have the remainder of the day to enjoy the wonders of Amanoi at your leisure. Linger in the bamboo cafes along the beaches or bask in the refreshing pleasures of a couple’s spa treatment at your charge. 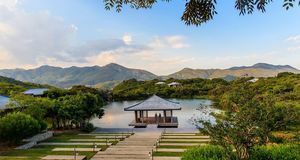 A Free day to explore the tranquil Amanoi and Vinh Hy Bay. You can join the cooking class hosted by Amanoi’s expert chefs to learn the secrets of Vietnamese cuisine. Meals are on your account. The morning is free at your leisure. 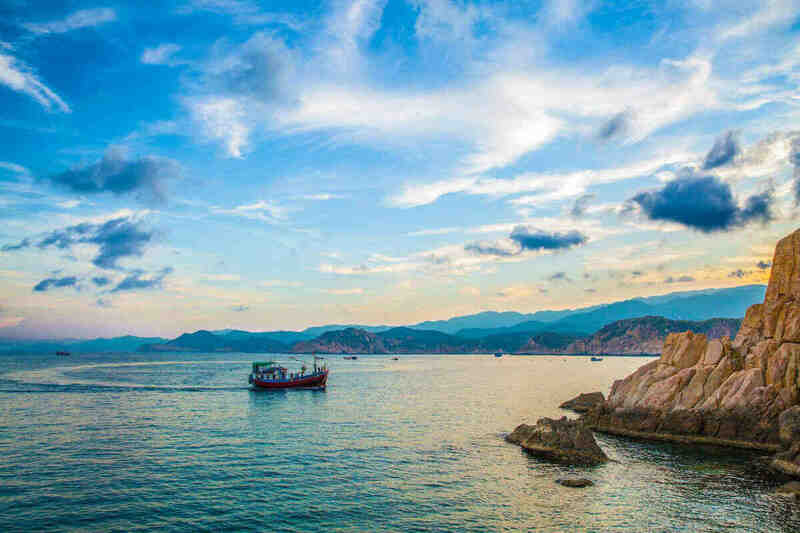 In the late afternoon, aboard your private speed boat and be enchanted by magical sunset over the stunning coast of East Sea, dramatic mountain ranges of Nui Chua National Park. Go snorkeling and visit the little tottery houses. 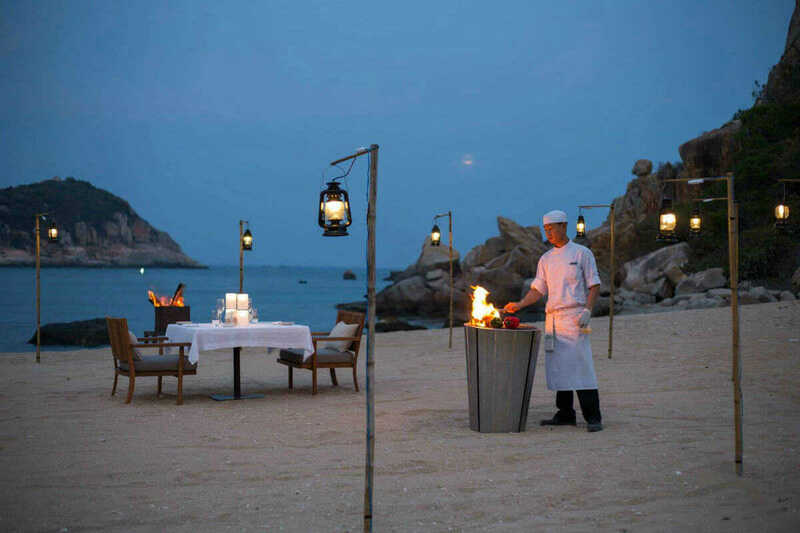 After that, come back to the shore for the dinner in the secret place set in the middle of nature with just two of you. We traveled for a week. 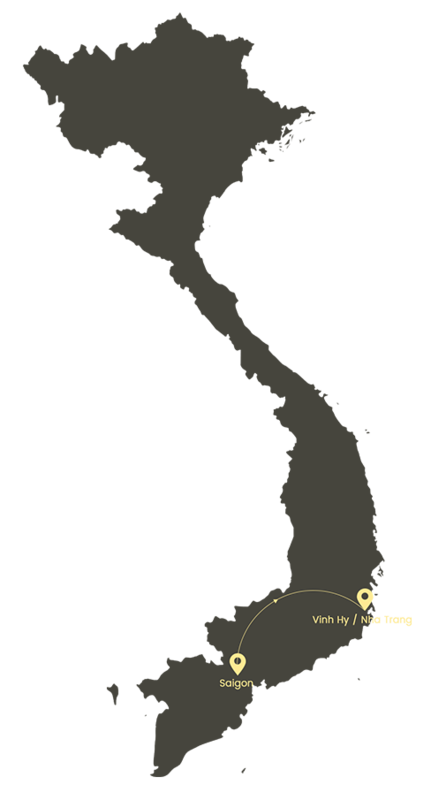 Visited Hanoi, Ha Lang Bay with a night on a ship, Flew to Da Lang and spent couple of days in Hoi-an, then flew to Saigon and visited the city then a day in Mekong Delta. All this was organized by Exotic Voyages tour company and to be exact by Hoa TRAN / Travel Designer Mobile: (+84) 988 713 059 Thailand | Vietnam | Myanmar | Laos | Cambodia . She was wonderful in the planning phase and ten when we were in Vietnam- daily communications re how the hotels, tour guides and activities went. Top notch hotels and services- very reasonable prices and most importantly local guides in each of the cities- one can learn so much!!! 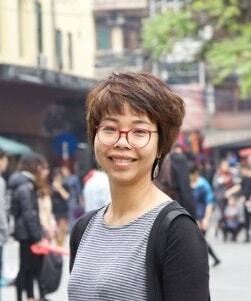 We recommend Her and her agency most highly to anyone who wants to visit this fascinating country. You can choose outdoor activities, cooking classes visits to the museums , nature trails etc,. zjust get in touch with Her!!! The wife and I have traveled all around the world and speaking with her we think this trip was one of the BEST. Our custom made trip planed by Hoa TRAN from EXOTIC VOYAGES was exceptional. 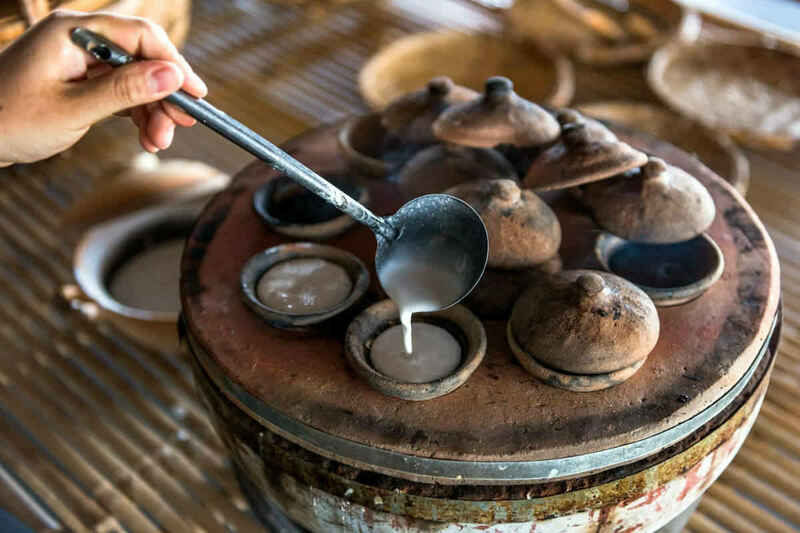 I first learned of Exotic Voyages when I happened upon an article about a tour that is inspired by Anthony Bourdain's travels to Vietnam. 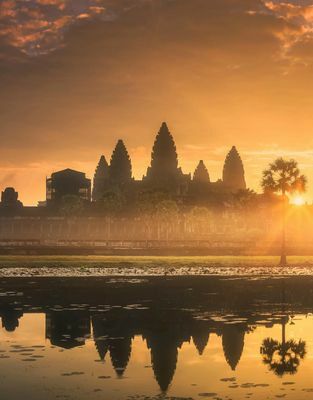 Being a big fan of Bourdain along with a burning desire to travel to Vietnam, this was the perfect scenario for me to make the trip, so I contacted Exotic and Diep Nguyen to put together an itinerary to include Cambodia. Having just returned from the trip on March 5, I have to say the results exceeded my expectations. 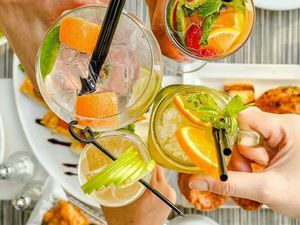 Being an experienced global traveler there are certain characteristics I'm looking for in an organized tour: Planning, Quality of Experience and the Guides/Drivers, and Responsiveness & Flexibility. Exotic Voyages made sure we saw a good representation of the Vietnamese and Cambodian people and lifestyles, and the Vietnam landscape from north to south. The itinerary had us fully immersed in the culture and social fabric, from the rich experiences on the farms, on the boats, in the marketplaces and the restaurants as they "connected the dots" for us on how food is farmed/caught, produced, sold, cooked and eventually delivered to the table. 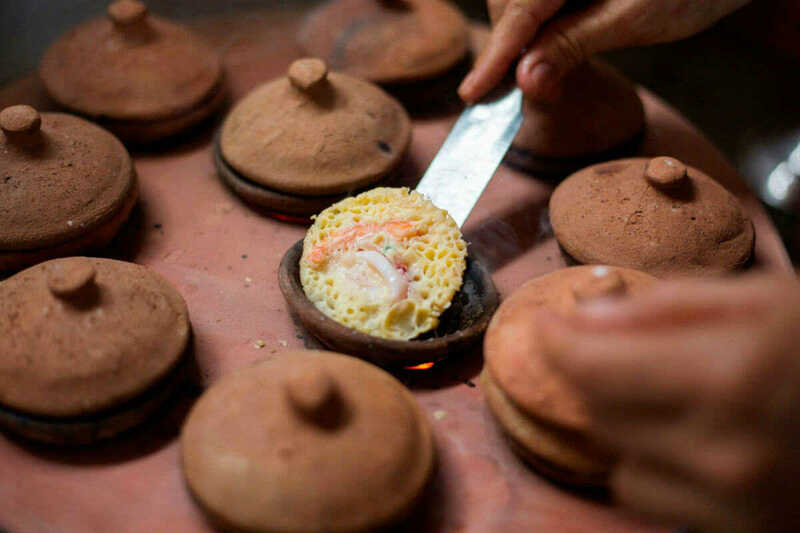 We loved the hands-on experience of a cooking class in Hue and we'll be practicing our new skills back home. 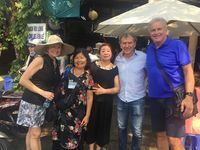 Then of course the connections to Anthony Bourdain, meeting the Banh Mi Queen, eating at Lunch Lady and staying in his favorite hotels. The fairly complex logistics of the flights, hotels, guides and drivers were perfect. We especially appreciated seeing our guides/drivers awaiting us at the airports for each flight (there were six flights), handling the visas when necessary, guiding us at the airports for check-ins, handling the luggage, etc. They never missed a beat and constantly made sure we were comfortable and happy throughout the tour. The guides were all very knowledgeable and proud people, but I would especially call out Xuan in Hanoi who was informative and fun to hang with. When traveling in a foreign country, and with many connection points, responsiveness and flexibility are also extremely important. Diep was always there for us both before and during the trip when we either had questions or wanted to make some spontaneous changes to the itinerary. Overall I give high praise to Diep and Exotic Voyages for putting together a fantastic journey through two fascinating countries. It was certainly the most immersive and emotional trip I've taken, partly because of the US war history but mostly for the connection to the Vietnamese and Cambodian people who are the sweetest, most considerate, welcoming and accommodating people one could meet. Thailand/Cambodia/Vietnam/Myanmar - three week trip of a lifetime. We had never heard of Exotic Voyages, and were hesitant using an online service over a Kuoni type of tour operator. However, after so many five star reviews on T/A we submitted an enquiry with just the briefest of briefs. Three weeks travelling around Asia to celebrate our 25th wedding anniversary. 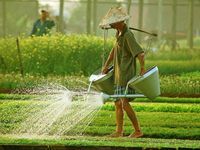 - boutique hotels - a chance to sample real local culture and real cuisine... Within a couple of days we got an email from Diep Nguyen (who is fantastic). She prepared a very detailed itinerary and quotation, with no pressure to commit. After a couple of minor alterations we agreed to go ahead. We booked our own flights from UK to Bangkok, then Diep arranged everything else. All hotels, internal flights, tour guides, private drivers, visas, and entry to temples/areas were all sorted by her. We seemed to get a complimentary room upgrade at every hotel on our 21 night journey - maybe Exotic Voyages has some sway with these places. We had a couple of hotels bump us up to their honeymoon suites for some nights - which is just what a tight-fisted Englishman likes to hear! We seamlessly visited Bangkok, Siem Reap, Hoi An, Hue, Hanoi, Ha Long Bay, Yangon and Bagan. 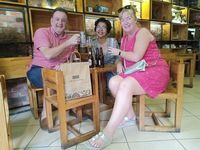 We were very lucky to have the chance to share a beer with Diep in her home city of Hanoi, whereupon she very kindly gave my wife a wonderful gift from a local craft shop. We cannot wait to return to Asia again - definitely using Exotic Voyages. We absolutely loved all of the areas we visited, especially Bagan and Siem Reap. This was the first time we worked with a travel agent overseas. 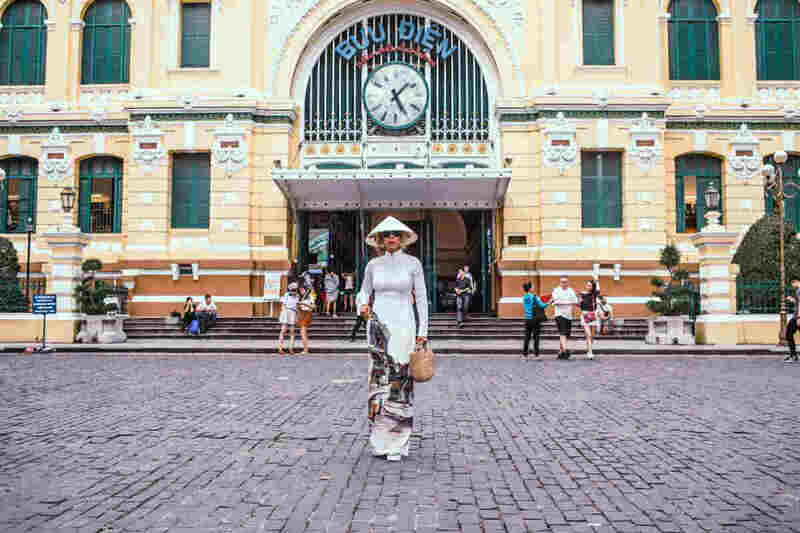 We worked with Diep Nguyen from Exotic Voyages for a seventeen day trip through Vietnam and we were extremely happy. It was completely seamless and on point from the moment we landed to the day our tour ended. All of the drivers and guides were on time and knowledgeable. I can’t even imagine trying to arrange our itinerary on our own now that we’ve been there. Diep arranged everything with a really good balance of planned activities that allowed us to learn so much about the history and culture of such an amazing country and it’s beautiful people. All of our guides were professional and kind, helpful and willing to answer questions and share their stories with us. All of our tours were either only us as a couple with the guide or very small groups with a guide. I noticed other tours along the journey that made me thankful we went with Exotic Voyages. 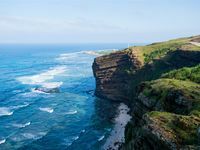 A couple of times we had questions about our itinerary and Diep was immediately accessible to quickly answer them. 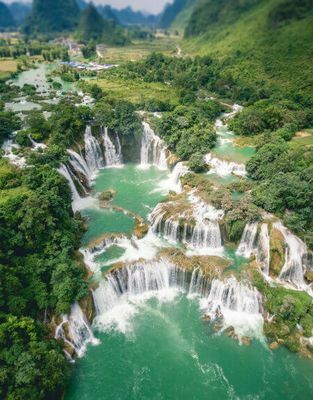 We traveled south to north through Vietnam and I know there’s a million things more we could of done but I feel like we got to experience everything we wanted to while we were there, and still had plenty of free time to explore on our own . Honestly, the entire trip starting from the guy who quickly got us through the airport (like 5 -10 minutes) to every driver to all of the hotels and home stays way exceeded our expectations. They helped us with the visa process which saved us a lot of time. The home stays were all excellent. The hosts were super helpful with suggestions and the meals were outstanding and just really fun. This was an anniversary trip and I would say Exotic Voyages kind of made it perfect for us. We both would definitely recommend them if you are planning a trip to Vietnam.